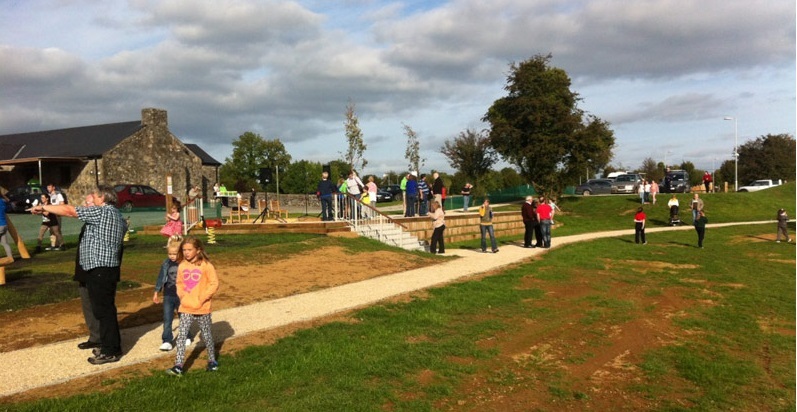 Midlands Amenity Park is the fruition of the work of a dedicated and hard-working community group in Moate, Co. Westmeath who saw an opportunity for the creation of a public amenity on the site of a former Cow Park. Murray & Associates were entrusted with the task of turning this vision into a reality. The site is of immense heritage value, both natural and cultural, as it contains a turlough (the only confirmed turlough east of the Shannon and an Annex I habitat under the Habitats Directive) and is adjacent to Dún na Sí Heritage Park and Genealogy Centre. The design is based on ecological principles and aims to enhance biodiversity and highlight the unique limestone geology and habitat of the area. The turlough, with its seasonal rise and fall of water, has been defined as a natural feature and integrated into the proposed park by creating wildlife viewing areas. 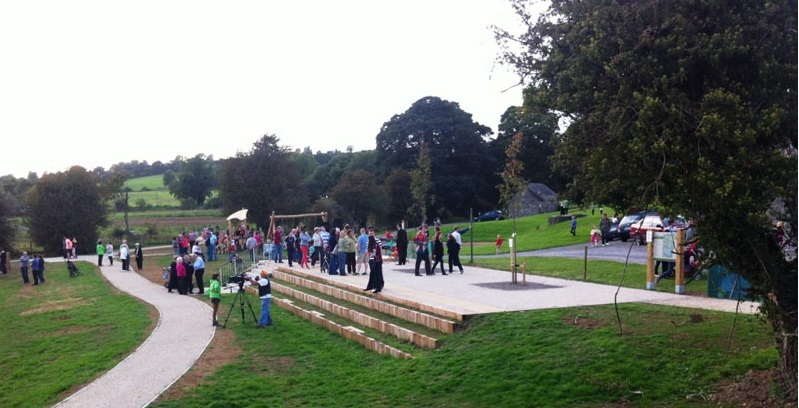 Conserving and encouraging existing site flora was extremely important in the project and the planting strategy involved complementary native trees, woodlands, shrubs and ground flora. The circulation system provides almost 2km of curvilinear paths and is intended to bring the users through a variety of habitats and vistas. Materials are recycled or sustainably sourced where possible. 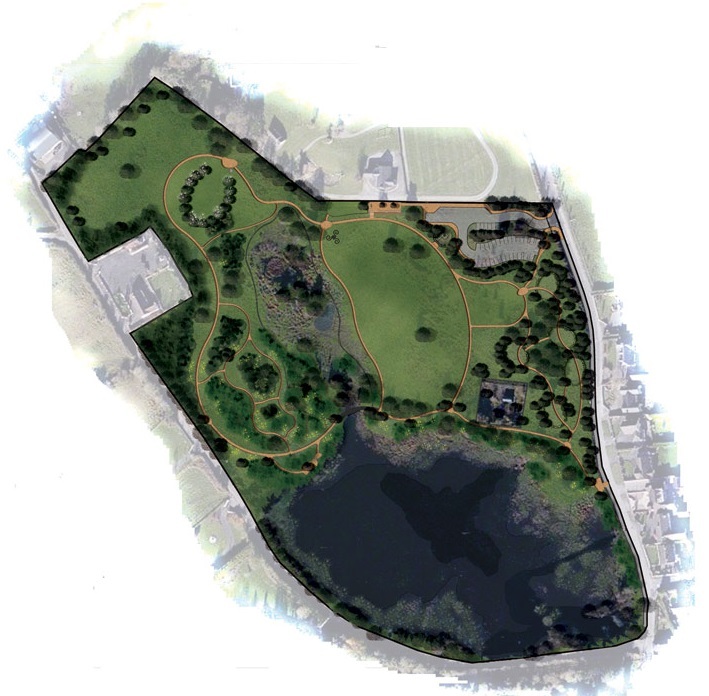 The park also contains a viewing plaza, sculpture gardens, exercise trail, play area, environmental learning zone, native woodlands and kickabout areas. The sculpture Grainne Óg, by Anne Meldon Hugh, is also carefully sited in the park. The project was a true community endeavour. 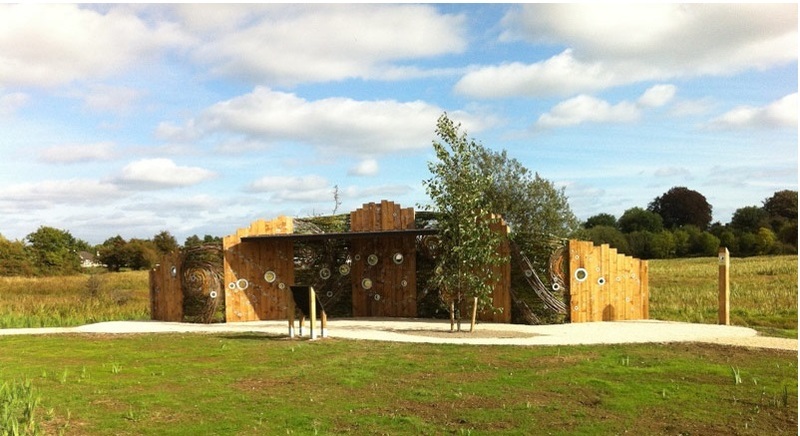 Site furniture and a stunning bird hide were designed and constructed by the students of the secondary school in Moate, in collaboration with the artist Patsy Preston. Signage was designed by local graphic artist with the input of ecology and habitat experts who also live locally. The park opened in September 2013.